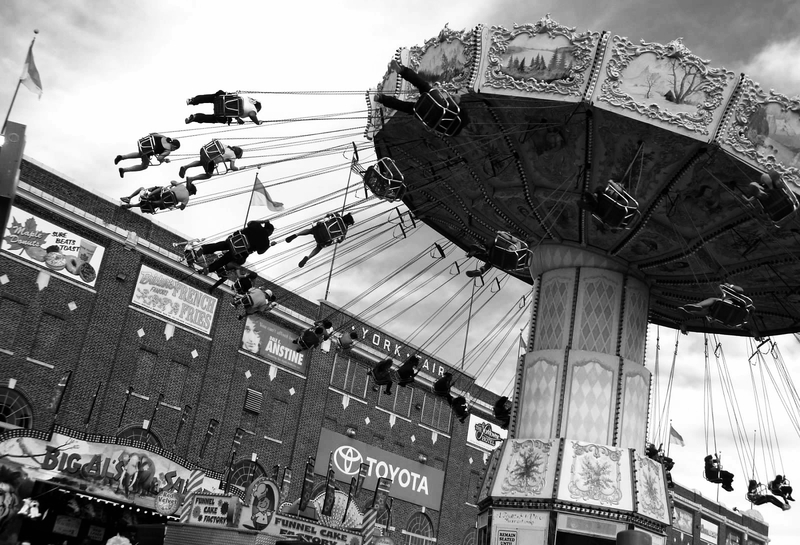 Another year has flown by and the York Fair, which dates to 1765, is almost upon us again. 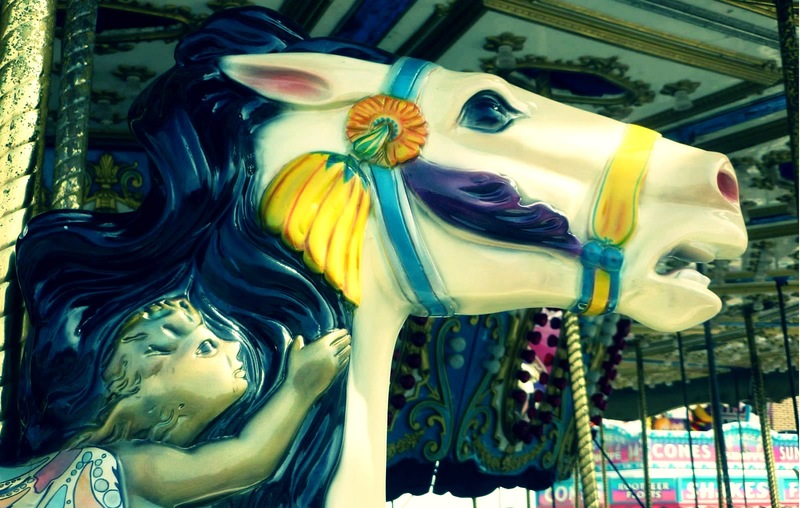 Our hometown fair, marked by its agriculture exhibits, food and rides, opens on September 6. 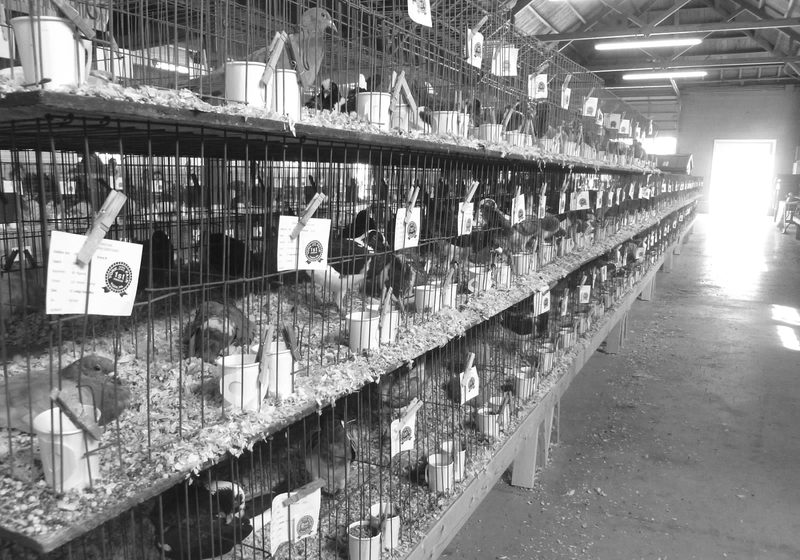 Right on cue, I have just finished editing my photos from last year's York Fair. 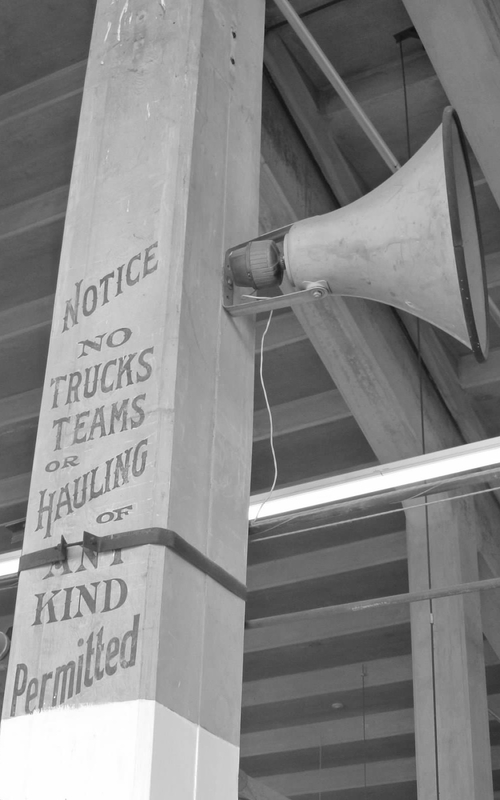 I had planned to get them up soon, as a followup to the "Signs at the York Fair" gallery in September 2011. But that worked out about as well as my other best-laid plans. 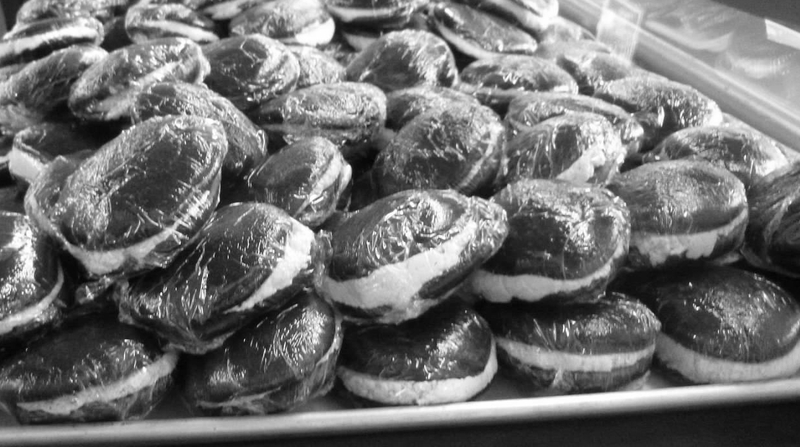 So consider these 2012 photos as a preview of the 2013 event. These images come from an old, fold-out map of Venice, Italy. 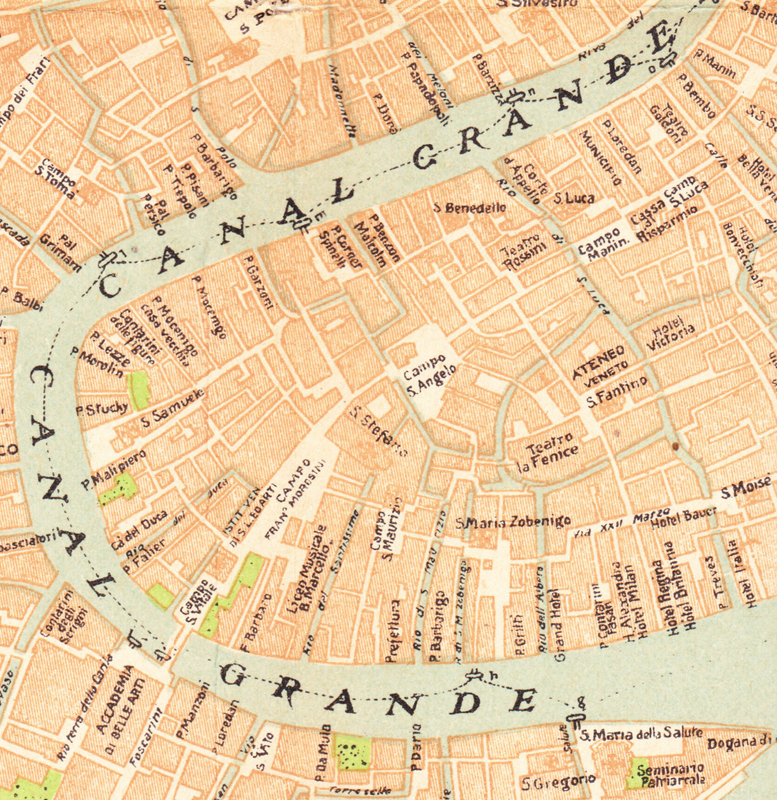 The map is credited to "Officine Grafiche Carlo Ferrari - Venezia." 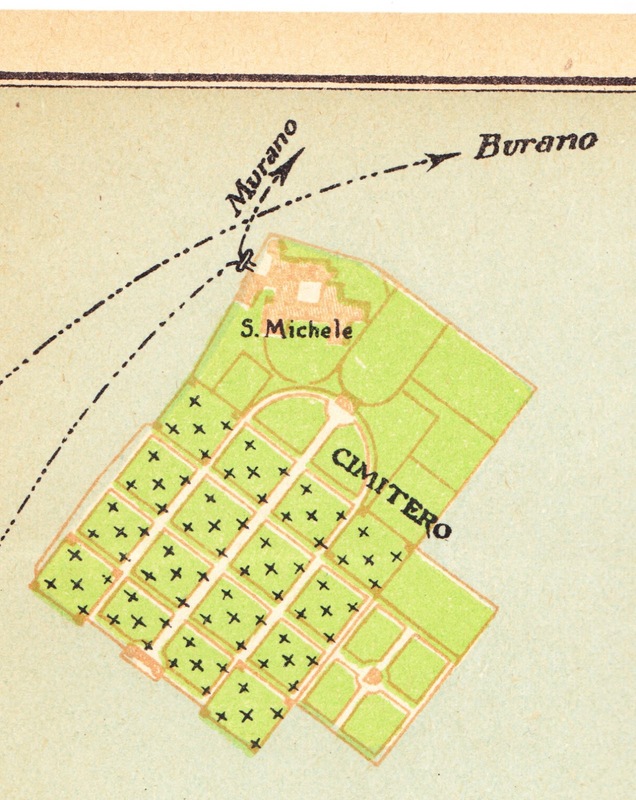 First up is San Michele, a small island located northwest of the main area of Venice. It is home to a cemetery, still in use, that became the primary graveyard for the city in the early 19th century when it was decreed that the primary Venetian islands were unsuitable for burials. Shown here is the southern curve of Venice's Grand Canal. 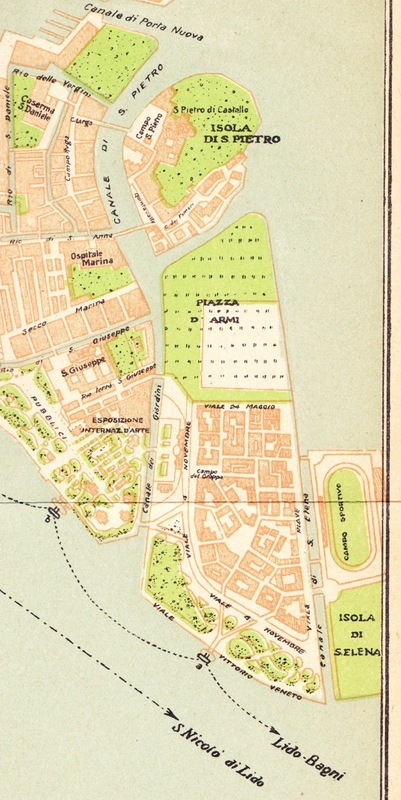 And this larger detail shot of eastern Venice shows, among other locations, San Pietro di Castello and the former the former Piazza d'Armi. Just to the west of San Pietro di Castello (and not shown) is the Venetian Arsenal, which is described as "one of the earliest large-scale industrial enterprises in history." It is now a combination of naval base, research center and preservation center for historic boats. If you love maps of all kinds, check out this previous post. 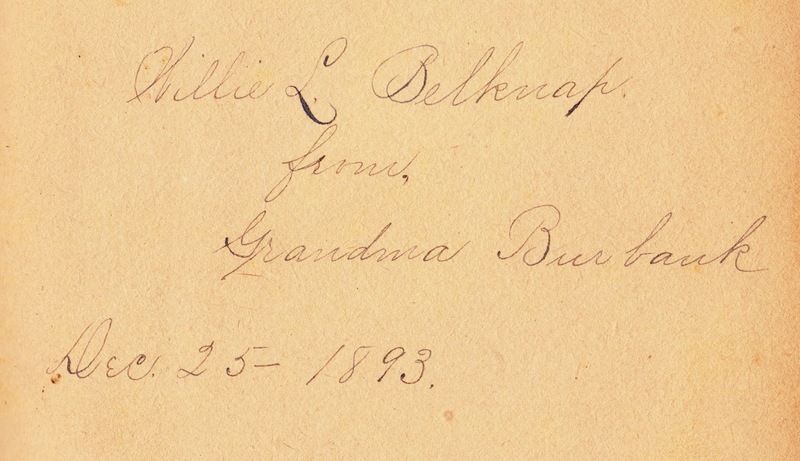 The book that Willie L. Belknap received in 1893 was the Arlington Edition of "Carl Bartlett; or, What Can I Do?" by D.S. 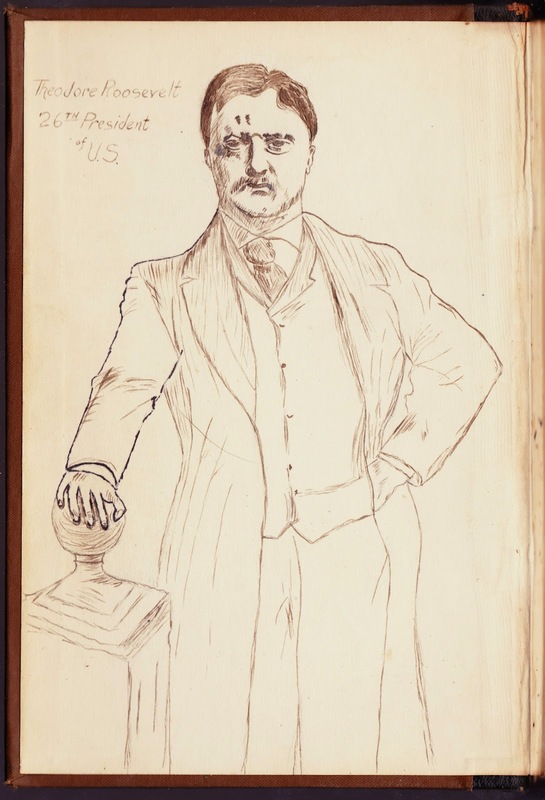 Erickson. 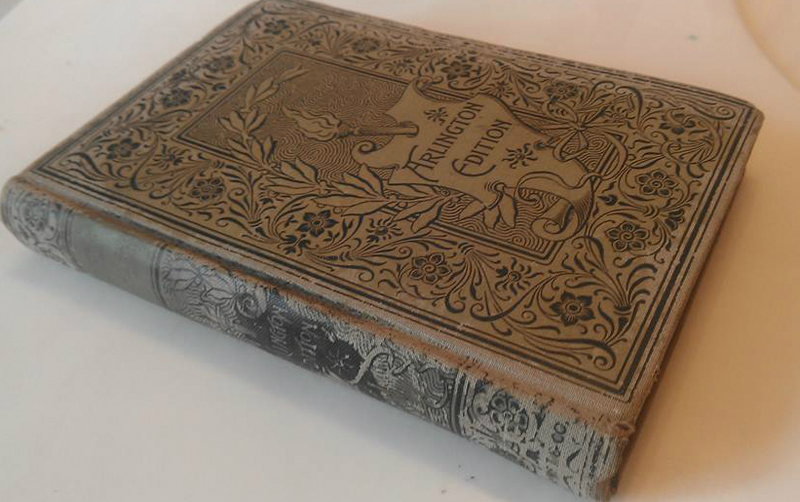 It was published by Hurst & Co. of New York. 1. 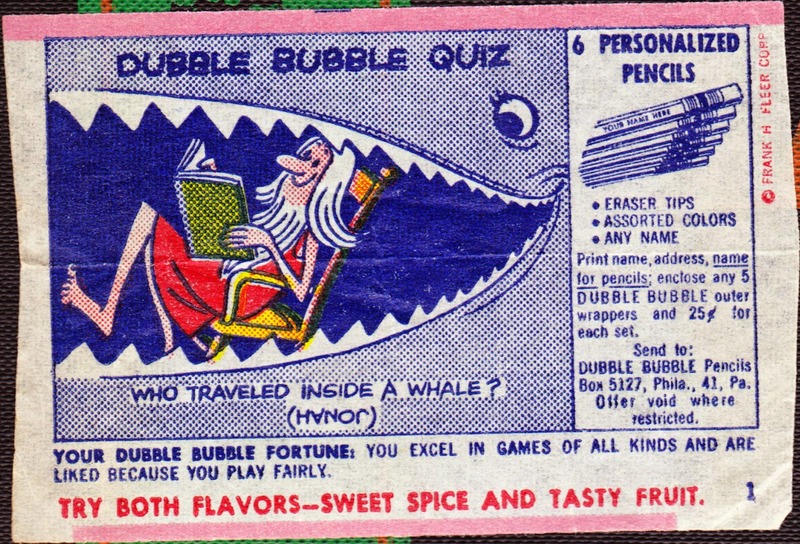 I wonder if Grandma Burbank knew that advertisement was back there. It's the time of year, especially in the United States, when students are returning to school or preparing to do so in a few days. 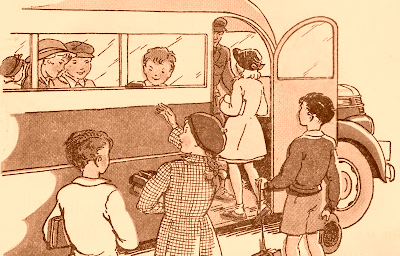 Last year, in recognition of this special time on the calendar, I posted a week's worth of nostalgic "School Days" ephemera. I'm going to do that again this year, starting Monday. 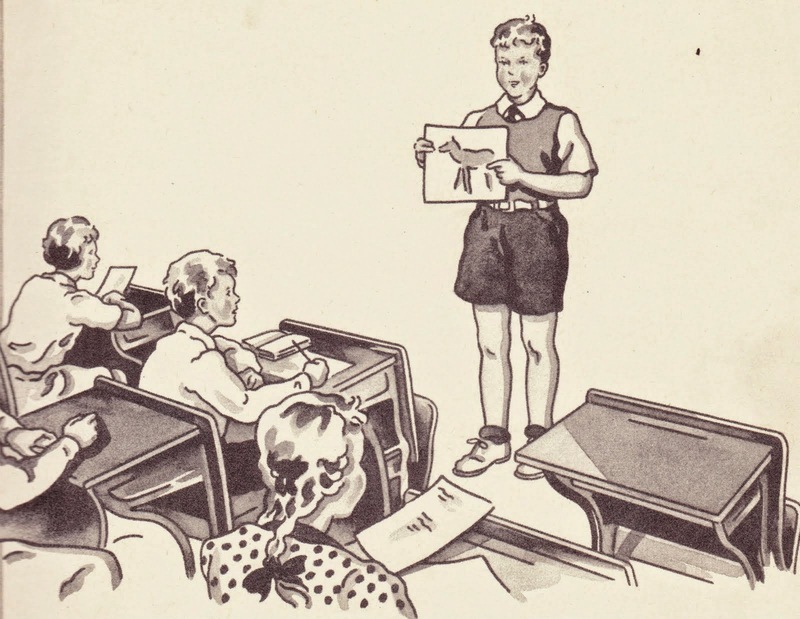 In the meantime, I've put together a handy-dandy guide to all the previous posts about school, textbooks and teachers. Posts are cross-referenced and appear in more than one category. Enjoy! Best book ever: 1885's A Brief History of the United States. Part 1 and Part 2. 1939 history textbook, "A Full-Grown Nation"
"Lippincott's Mental Arithmetic, Embracing the Principles of Analysis and Inductions"
1904 teachers' edition of "The Rime of the Ancient Mariner"
"New Art Education (Book I)"
"Junior Training for Modern Business"
"Hayes Bulletin Boards That Teach with Wit and Humor"
"Composition and Rhetoric By Practice"
"Practice Activities in English, Grade Eight"
"Modern-School Arithmetic Advanced Book (New Edition)"
"Hayes Bulletin Boards That Teach with Wit and Humor" and "Ideal Middle, Upper and High Bulletin Boards"
"Visualized American Government: Principles and Problems"
"Stella Gross is in love with Jim McCormic." "Remember the Golden School Days and the fun we've had together Virgie Combs." 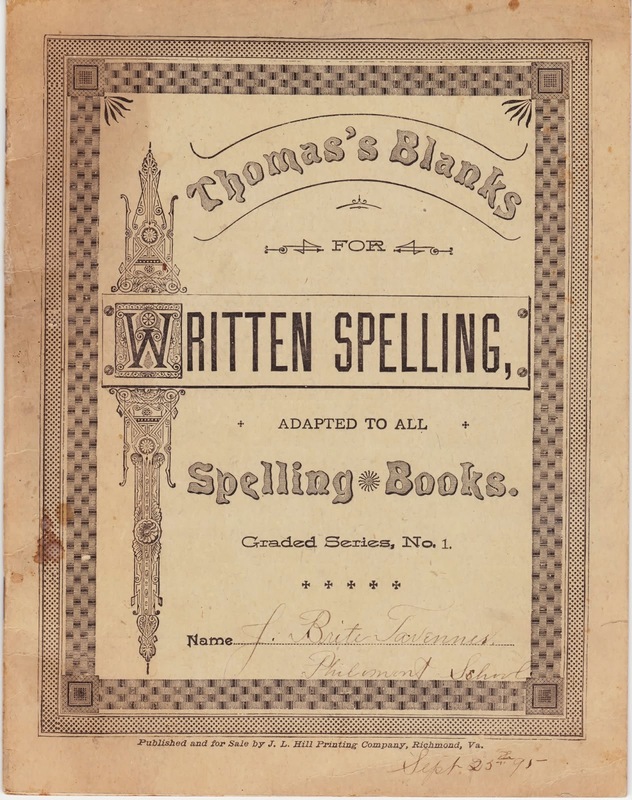 "I pity old Simp if he steals this book"
"To Marie, For perfect attendance at school"
Spelling test inside a tanned old copy of "Cyrano de Bergerac"
School District of York, Pa.
Last fall, I counted down my 25 favorite vintage Scholastic book covers. 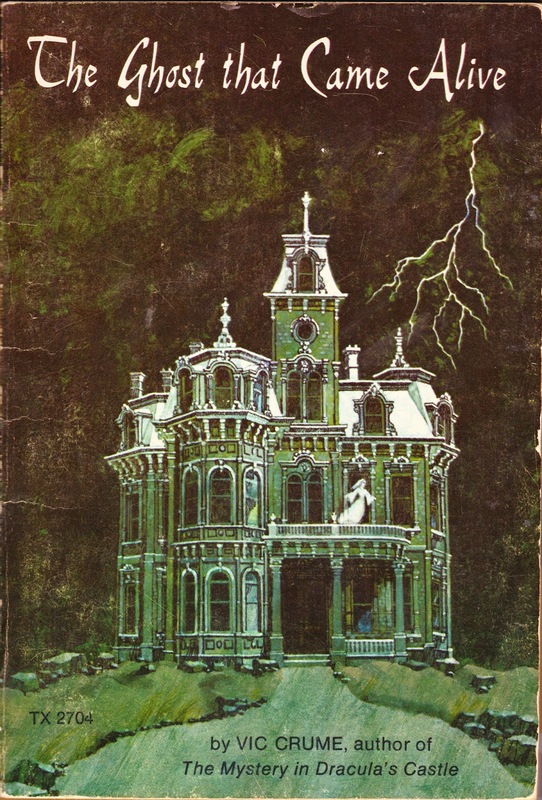 These are the paperbacks some of us grew up with and handed down to our kids and grandkids. Check out every post here. The hard-to-read white lettering across the bottom states: "Oxford, Wadham College, (Founded 1613)." Master mason William Arnold was the college's architect. Architect Sir Christopher Michael Wren (1632-1723) attended Wadham College. Under the original statutes, women were forbidden from entering the college, with the exception of a laundress who was to be of "such age, condition, and reputation as to be above suspicion." 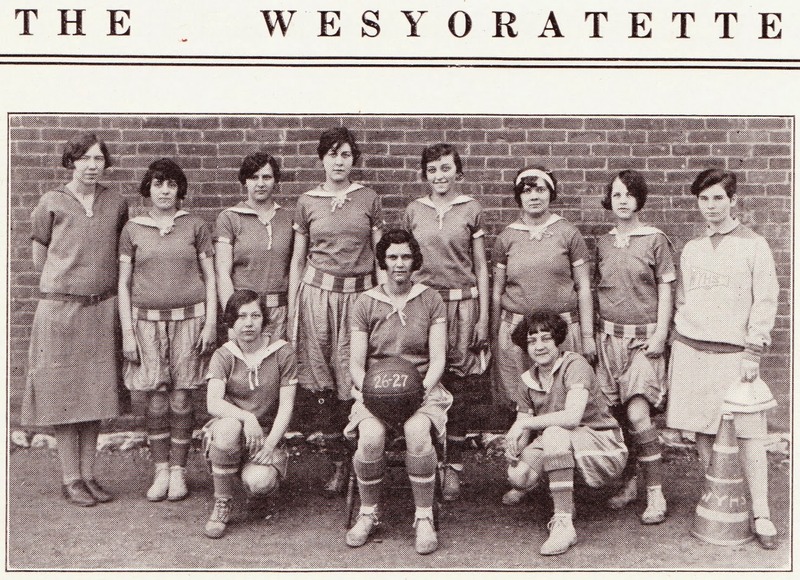 In 1974, the Wadham statutes were altered to allow the admission of women as full members of the college at all levels. It was one of the first Oxford colleges to make that change. The Wadham College Library has one of the world's most significant collections of Persian history and literature. The Wadham community has long been a strong supporter of gay rights and, in 2011, became the first Oxford college to raise the rainbow flag. (1) Wadham is less altered than any other college in Oxford. (2) It is the finest illustration of the fact that the Gothic style survived in Oxford when it was being rapidly superseded elsewhere. (3) No building in Oxford (very few buildings anywhere) owe their effect so completely to their simplicity and their absence of adornment." 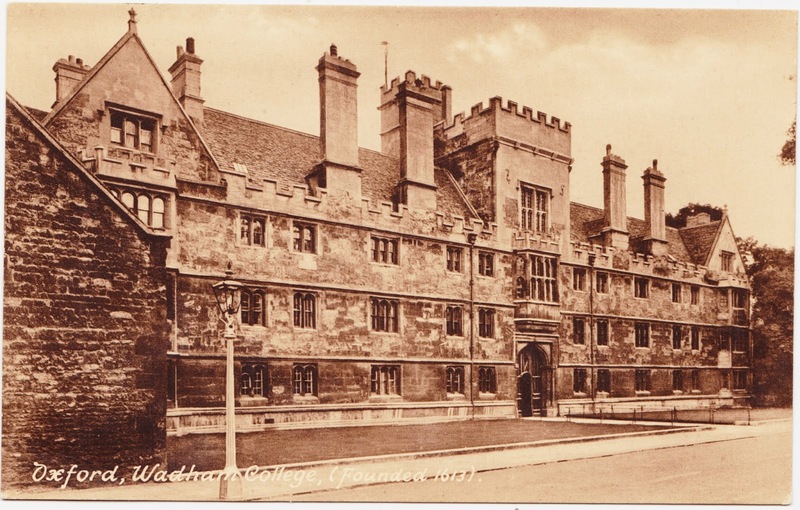 Of course, such praise for Wadham should be tempered with the knowledge that the author, Mr. Wells, was the warden of Wadham College at the time of publication. Finally, this postcard is part of the Frith's Series. I wrote about one of their cards featuring Kingsgate back in August 2012. 1. Also in 1096, Frenchman Walter Sans Avoir — who might or might not have been known at Walter the Penniless and served as one of the leaders of the First Crusade, which resulted in the horrific slayings of thousands of Central European Jews in what some have retroactively deemed "the first Holocaust" — was killed when he was, per some historical sources, hit by seven arrows in a battle against the forces of Kilij Arslan, the Seljuq Sultan of Rûm. Read more at Medieval Tymes. Here are a pair of items for which the only connection is that they're from postcards — mailed 106 years apart. 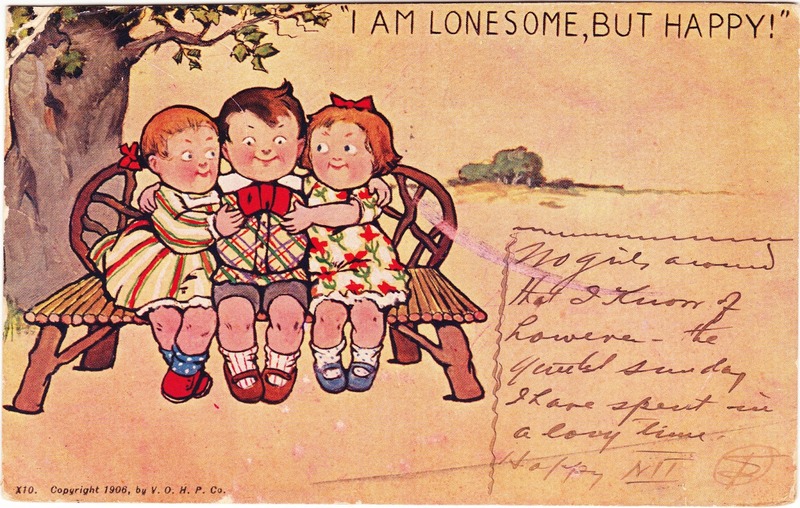 Up first is this comic postcard, which was postmarked in August 1907 in San Antonio, Texas. "No girls around that I know of however - the quietest Sunday I have spent in a long time. Happy [indecipherable]." Any guesses on what's written after the word "Happy"? The postcard is copyright 1906, by V.O.H.P. Co. I haven't been able to discover what those initials stand for. The card was mailed to someone named Jerome in Houston, Texas. 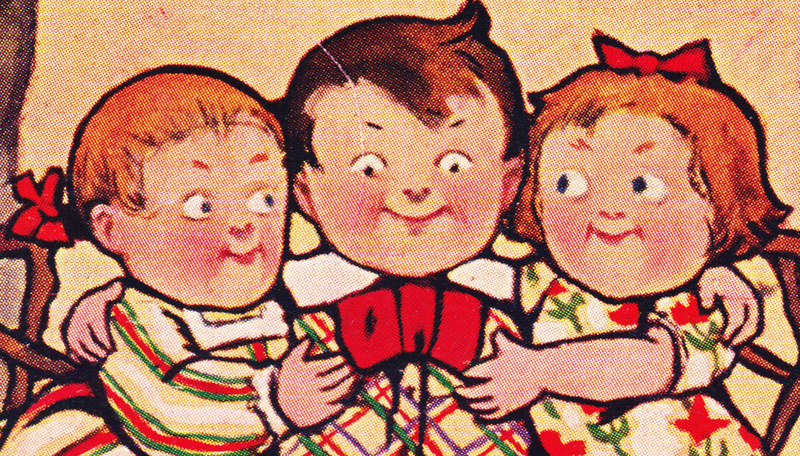 Here's a closer look at this three illustrated children. That fella in the middle could be avatar-worthy. Meanwhile, here's another selection from the gallery of Neat Things Received Through Postcrossing. It's a spooky stamp from Latvia featuring a bat. Specifically, Barbastella barbastellus. The card was mailed to me by Regina in Latvia, who added in a short note that "there are a lot of Jugendstyle [Art Nouveau] buildings in the capital city [Riga]." "Until the middle of the 1990s, in Latvia there were only a few historical records of single hibernating animals found in caves (2) and in a cellar (Petersons & Vintulis, 1998). During the study on the migration of bats at the western coast of the Baltic Sea a mass capturing of bats was carried out during the autumn seasons of 1985-1992 (Petersons, 2004). Barbastelles, although making up only 0.6% (9 ind.) of all captured bats, were registered at the time of their regular migration over the SW coast of the Baltic Sea. This let us suggest that a summer population of this species should occur in Latvia, probably in the SW part of the country (Petersons & Vintulis, 1998)." 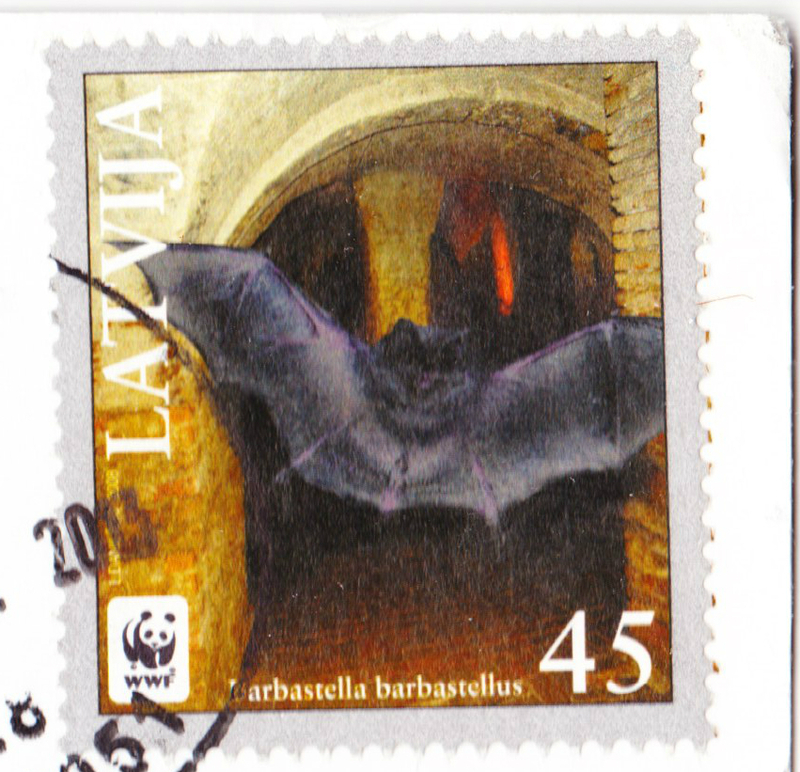 The stamp itself was published in Latvia in 2008, as part of a set of four bat stamps. You can find out more about it on this Universal Postal Union page.